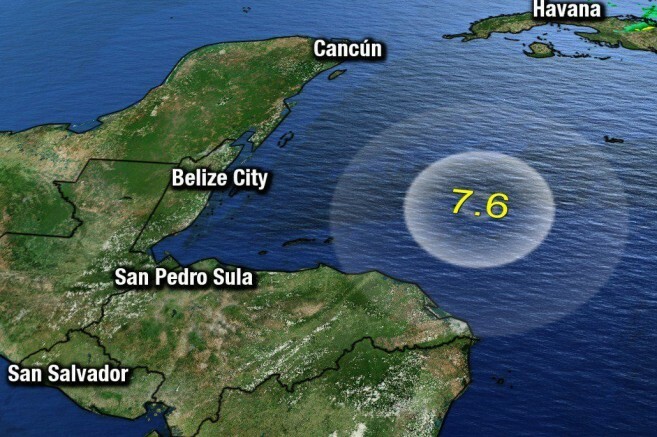 A tsunami warning following a 7.6 magnitude earthquake off the coast of Honduras near the Swan Islands, on Tuesday, January 9th at approximately 8:51 PM mobilized Belize Emergency Response authorities. While the tsunami thankfully never came, the warning struck much concern throughout the entire coast of Belize. Shortly after the earthquake, Minister of National Emergency Management Organization (NEMO) Honourable Edmond Castro informed all Belizeans living along the coast and cayes to stay alert and seek higher grounds as the National Tsunami Warning Center issued a warning for countries in the area including Belize, Cayman Islands, Jamaica, Mexico, Honduras, Cuba, Panama, Costa Rica, Nicaragua, and Guatemala. Indications were that the country could experience tsunami waves of up to 3.3 feet (1 meter) above tide level at around 10:30PM. Social media posts clearly showed how water receded from various areas of the country such as Ambergris Caye, Caye Caulker, Belize City, and Placencia, which caused additional concern. In San Pedro Town, islanders moved to higher grounds and hurricane shelters were opened for evacuating residents. It was not until two hours after the quake that Castro reported through the national media that the National Tsunami Warning Center had lifted the warning for all countries. Although the tsunami threats were no longer a major concern, NEMO continued to advise all citizens to remain vigilant throughout the night. “Of critical concern now is the state of our bridges in the aftermath of the earthquake. Before vehicles, particular buses and heavy trucks, cross any of our bridges, it is important that those structures are inspected by the Ministry of Works or Transport Department to ensure that they are structurally sound and safe,” said NEMO. In the wake of the tsunami warning, many residents went on to say that the various organizations and citizens had overreacted. However, geologists say that shallow quakes generally tend to be more damaging than deeper quakes as it can cause major disturbances in water levels. 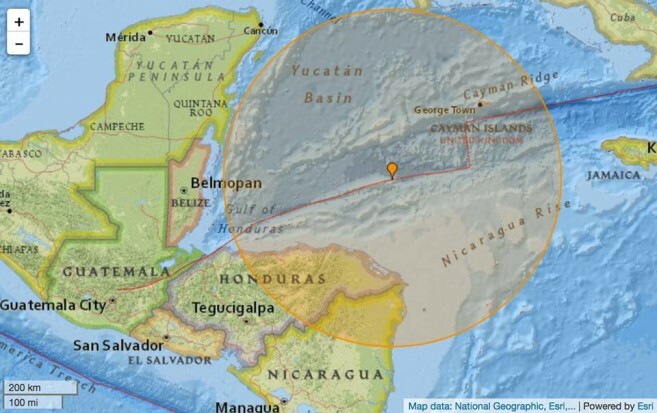 The earthquake experienced on Tuesday, January 9th occurred at a depth of 6.2 miles (10km) within the earth. According to geologists, this is considered a shallow depth, which can amplify the effects of a tsunami. According to CNN World meteorologists Pedram Javaheri, “It really it’s not about shaking with this particular quake. It was a very shallow one coming in at about the 10KM. When you are talking about a magnitude exceeding 7 in scale, of course, you are going to be looking at the significant disruption of the water, and that’s the initial concern.” According to meteorologists, earthquakes over 7.0 carry strong tsunami concerns. NEMO reminds everyone that whenever the sea is receding in the wake of an earthquake, a tsunami is possible. In such circumstances, people along the coast are advised to move away from the sea, seek higher ground or move to the second story of a building, stay away from glass windows and turn off butane tanks and all gas valves. They also advise that in the event of an earthquake, if you are outside when it strikes, stay outside; if you are inside, go under a sturdy structure or piece of furniture, or move to a corner of the building you are occupying. S.P.R.C. School Holds Earthquake and Fire Response drill.